More details have emerged in the killing of a British pilot by poachers in North-Western Tanzania. 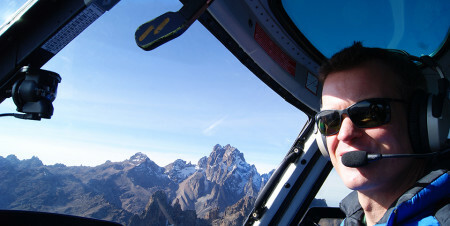 Helicopter pilot Roger Gower had been on an anti-poaching mission with the Friedkin Conservation Fund and Tanzanian authorities in the Maswa Game Reserve, which borders the Serengeti, when he was shot by poachers on Friday. According to the Telegraph newspaper, Gower and a colleague were tracking poachers who killed several elephants and as Gower hovered over one of the elephant carcasses, a poacher fired up through the bottom of the helicopter. Gower was hit but managed to maneuver the helicopter into a tree before it crash-landed. The South African colleague, who also shared a house with Gower, is said to be recovering well from non-life threatening injuries sustained in the crash-landing. So far, three men have been arrested in connection with the shooting, says Natural Resources and Tourism minister Jumanne Maghembe. “This is a tragic, very sad and extremely unfortunate event,” says Maghembe. According to Kenyan charter airline Tropic Air, Gower worked as a pilot in East Africa since 2008. In the last five years, over 60 percent of Tanzania’s elephants have been killed.